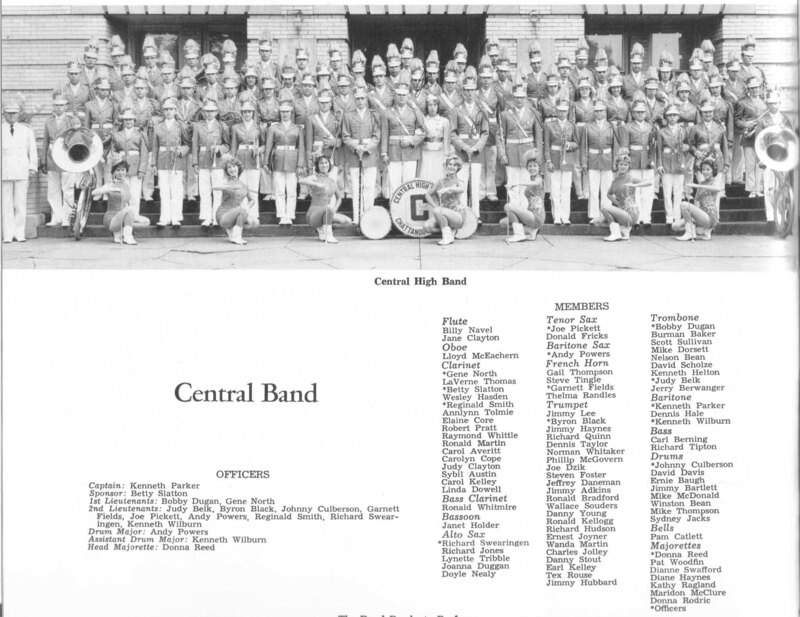 Kenny played several musical instruments while in high school: piano and organ at a Methodist Church in East Ridge; trombone in the band and swing band; baritone horn in concert band. 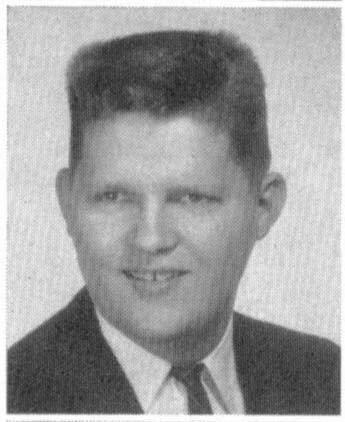 Around 1966 Kenny opened a larger store store on Ringgold Road near the Pizza Villa at Germantown Road. Nice open space that was much larger with many nice pianos and some organs. Kenny was a member of the Musicians Local even during high school and was called to play all over town after traveling on the road. 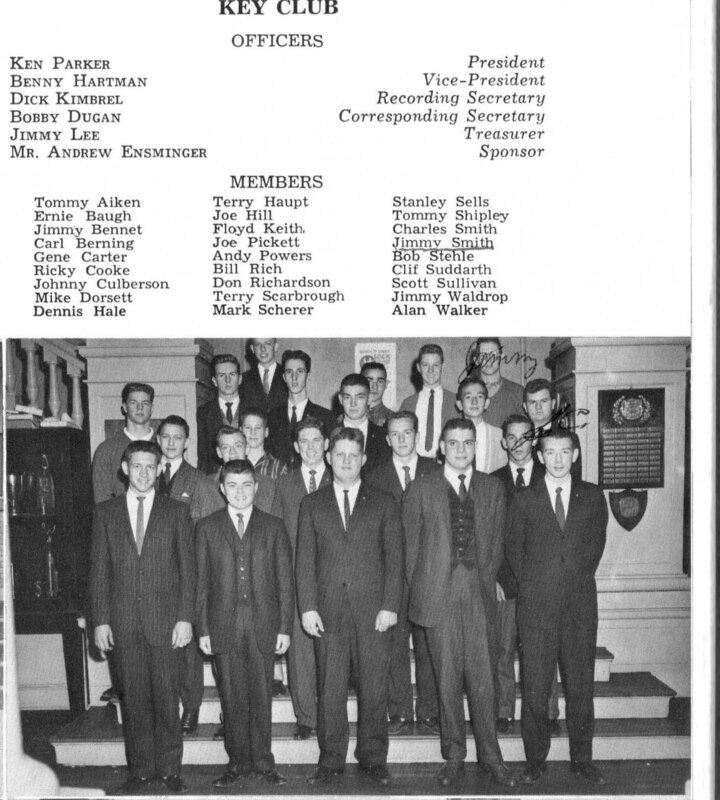 In 1965 Kenny played the organ at the Tivoli for the opening of HELLO DOLLY staring Betty Grable. Betty's marriage to Harry was on a rocky decline, and in October of 1965 she sued Harry James for divorce. This ended a marriage of a little more than twenty years. In November of that same year she began touring for Hello Dolly which opened in Chattanooga, followed by performances in numerous cities before arriving in Las Vegas. 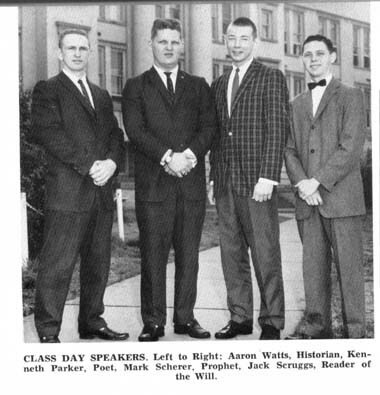 Kenny married Peggy Varner (Pastor Gene Varner's daughter) of Soddy Daisy. He went on to play keyboard with Buck and Dottie Rambo traveling all over the United States for several years. Kenny and Peggy had a daughter Sherri. See her bio and picture below. Kenny and Peggy formed the Kenny Parker Trio and cut several albums over the years. They continued to travel over the country and ministered in many churches. The group was regularly listed in the SINGING NEWS, a monthly newspaper for the gospel music industry. I would imagine that Kenny and Peggy would be part of the Gaither video singers if Kenny was still around. 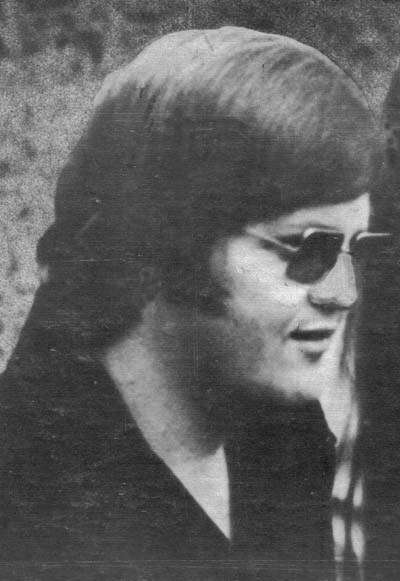 Kenny wrote much of the music they sang, but he also co-wrote with such names as Elmer Cole, and Carole Smith of East Ridge, who wrote many of Sonny James' songs. She won a life time achievement award with BMI. 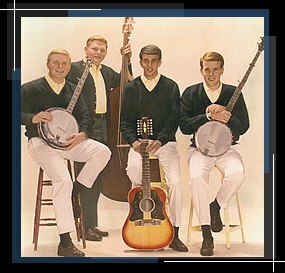 Kenny passed in 1992 upon returning home from a weekend in Nashville with gospel friends. He wanted to rest a few minutes before eating supper and laid to to rest for the last time on this earth. Many friends attended his funeral. Four pastors he had ministered with from other states came to participate in the service that day. His wife Peggy has remarried. Daughter Sherri carries on her father's love of gospel music and has released several albums. She is a very talented individual with excellent voice control and sings a variety of styles. She has 2 teenage boys and a daughter. Sherri and her husband Randy have started traveling and singing, much like her mom and dad did. See their bio below. The trio produced 6-8 albums. They are hard to find now. Every once-in-a-while there will be one on eBay. 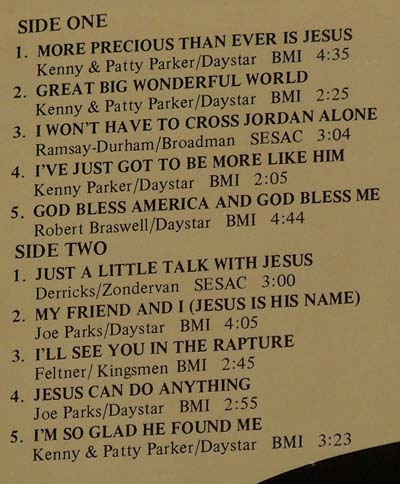 Title Song From "Jesus More Precious Than Ever"
In 1968, Sherri’s family moved to Nashville, Tennessee for her father, Kenny Parker, to be the pianist for the Singing Rambos. They would call Sherri up on stage to sing “Oh what a Happy Day” every night at their concerts. This is where Sherri’s natural love for Gospel music began. After years on the road with the Rambos, Sherri’s family formed their own family group, The Kenny Parker Trio. Sherri traveled and sang with them until the early 1990′s when her father passed away at the young age of 49 years old. Sherri stayed in Nashville and continued to do session and stage work. Performing with many country artist such as Dolly Parton, Charlie Daniels, The Judds. And many Christian artist such as Janet Paschal, Michael English, Russ Lee and many more. After years of raising children and working studio work, Sherri is now back on the road, full time ,traveling with her husband Randy all over the country. Randy Miller has been one of gospel music's sought after musicians. Starting out at the age of fourteen, he began playing music. Randy has traveled all over the 48 states, Alaska, every providence of Canada, Mexico and the Bahamas sharing God’s message through song and speaking. He has been on every major stage in the U.S. including: The Grand ole Opry, Hollywood Bowl, Georgia dome and numerous more. He has been the recipient of numerous awards including: Favorite musician, top five comedians, won numerous band awards with The Kingsmen Quartet who he traveled with for seven years. Randy has also been inducted into The Alabama music Hall of fame for lifetime achievements. His love for Music and God shows in every arena that he has been in. Randy now travels with his wife Sherri, speaking and singing all over North America. 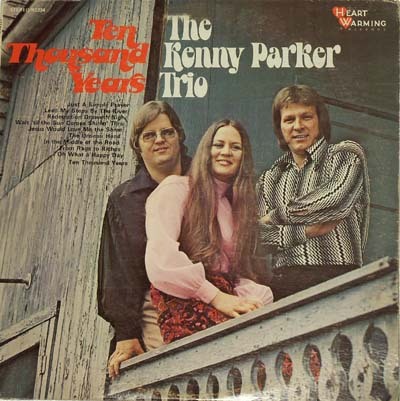 I happen to like the Kenny Parker Trio. "Ten Thousand Years" is one of my favorite SG songs. While I have no idea if Provident/Zondervan/Zomba/BMG/Universal destroyed masters, I do know they must have had original masters for Greater Vision to do the "Quartets" recording. Unfortunately, I wouldn’t be surprised if they did lose or destroy them. The left hand never knows what the right is doing in most of those "bigger" companies. There is a guy named Cory Ridenour (forgive the spelling) at Provident who controls leasing. Maybe he could shed some light on our discussion. P.S. I love Peggy Parker! 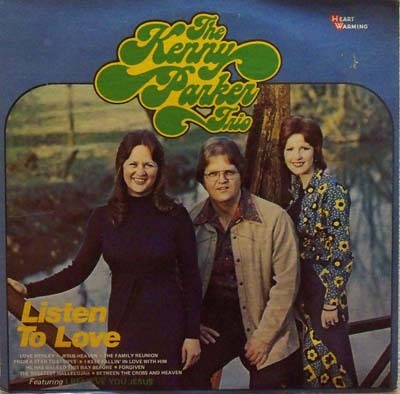 I love some of Kenny Parker’s songs too. I was just trying to draw a comparison between a master for, say, "Performance" by the Oaks or some of the old Imperials HeartWarming masters vs. other groups Benson put out that didn’t sell as big. No harm intended! My point being here in this article that, if Dottie, Buck, Reba and Kenny Parker had not had the faith in me that I could do the job helping them, then I would probably never had the opportunity to sing with "J.D. Sumner and The Stamps Quartet". Also, if Rusty Goodman had not believed in me, he would never have told J.D. to listen to me. I don’t want to be remiss here, at that time Kenny Hicks was playing bass for "The Rambos" so he was also with us on the dates that I have written about. Dottie Rambo, Kenny Parker and Kenny Hicks, Rusty Goodman, and J.D. Sumner have all gone on to be with the Lord. I miss all of them. Thank you God for allowing me to know these wonderful people. 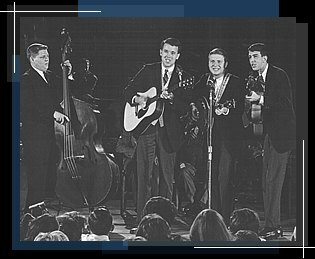 As my indoctrination into the amazing world of Gospel music continued, I was never more impacted than the first time I heard a family trio from Kentucky. The Rambos were taking the industry by storm. 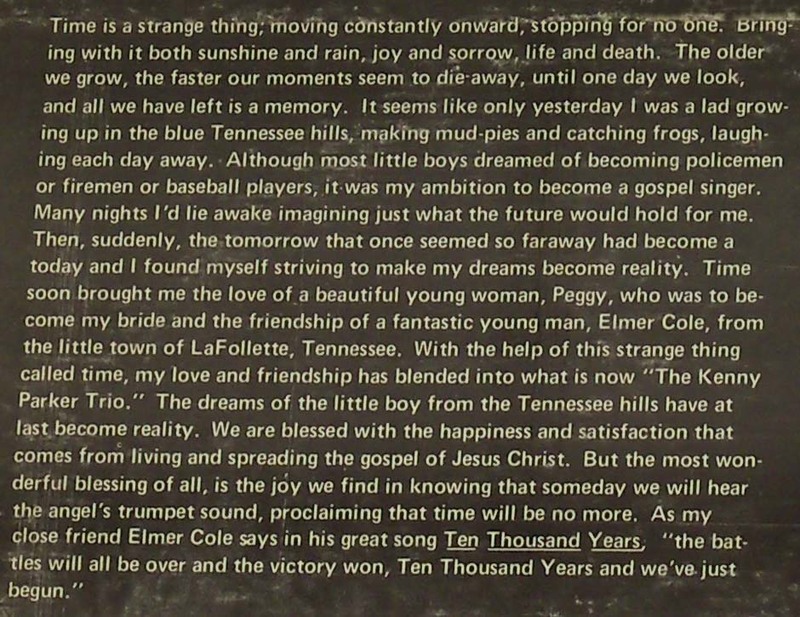 It was not just their appearance, riveting voices, amazing family blend, or the haunting piano styling of Kenny Parker (who was later to become a good friend), but their lyrics that captured my attention. 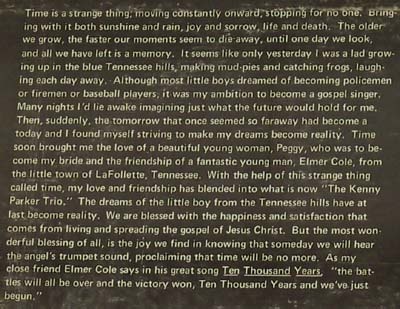 I have described Dottie Rambo’s song writing as "seeing what was always there, but in a way that no one had ever expressed it before." A perfect example of her ability to paint a word-picture is the phenomenal line, "This house of clay is but a prison, Bars of bone hold my soul." I can not remember exactly where most of them were, but I remember one specifically. The Farm Show Arena in Harrisburg, PA. This was a huge date for that day in time. It was a promotion that "The Couriers " did every year. The building seated over 10,000 people and was full for every concert. Reba, Kenny Parker and I went out to sing before this large crowd. When we did, another good friend of mine ,Rusty Goodman who had lived in Evansville and had become friends with The Trailsmen earlier in my life, asked JD Sumner to come and listen to me sing. That night I sang one of Rusty’s great songs, ‘Until You’ve Known The Love of God" as a solo. It happen to go over very well with the crowd, and not too long after that, JD contacted me through Kenny Parker to see if I would audition for the tenor spot with the Stamps Quartet. 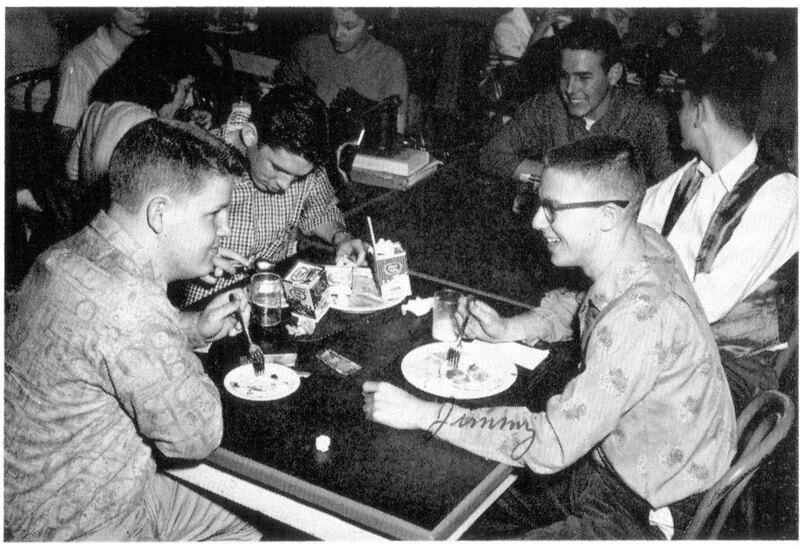 Therefore, the results, of the faith that Dottie and Buck had in my ability to fill in for The Rambos, and the faith that Rusty Goodman had in my ability to sing his song, resulted in my getting a full time job with " JD Sumner and The Stamps Quartet". I owe a huge debt of gratitude to Dottie Rambo, Buck Rambo, and Reba Rambo for having the faith in me to ask me to help them out. I also owe a huge debt of gratitude to Rusty Goodman. I have expressed my gratitude to Rusty’s family before verbally. I want to take this opportunity to say it here. Thanks Rusty, because of your faith in me, I have had a wonderful career in Gospel Music. And thank you Dottie, Reba, and Buck, because of your faith in me, I have had a wonderful career in Gospel Music. I will forever be grateful to Dottie, Reba and Buck Rambo, and Rusty Goodman. His music has been influenced by many popular musicians and groups over the years including Little Roy Lewis, Flatt & Scruggs, Sam Learning, The Cathedral Quartet, The Kenny Parker Trio, and the Couriers. Performing on the stage of Nashville’s Grand ‘ole Opry was a particular highlight for him. I started helping Kenny in 1963 at his music store, and he became a close friend, even though we ran with different groups in high school. I already played piano some, but Kenny taught me music theory, chords, progressions, lyric use and song composition. We wrote one song together that was recorded and released by Jackie Cannon. Kenny had a very open and compassionate heart, and he opened a new world for me. I went on to play piano in church for many years in Lookout Valley, directed choirs and vocal groups, wrote songs and played some organ. Had Kenny not been a friend of people and a friend to me, I would never have had that privilege and blessing. Few people touched my life like Kenny did. I hope that everyone will have a Kenny Parker somewhere in their life.